If you are one of the billions using the hugely popular cross-platform messaging App, WhatsApp, you may have received this message – Download WhatsApp Gold Exclusive Version for you. Unfortunately, if you have fallen prey to the lure, you may have infected smartphone with a information stealing malware. WhatsApp users, mostly from India, Pakistan and Brazil are being tricked into downloading ‘WhatsApp Gold’, an apparently ‘exclusive’ version of the app which actually infects mobiles with malware. WhatsApp Gold exclusive offer is being reported/tweeted by many users. The scamsters have been spreading the malware by sending a very flowery message and download link from goldenversion.com. The message urges the current WhatsApp users to sign up for the service via the WhatsApp Gold website and avail extra features which are not available in the current app. The app’s extra features (which the scammers claim have only previously been available to top celebrities) include the ability to send hundreds of pictures at once, new emojis, video calling,enhanced security features and more customisation options. Remember, downloading this malware laden app will invite huge trouble. Downloading the WhatsApp Gold from the website will simply infect your phone with malware, possibly allowing cybercriminals to steal your data or track your movements and activity. 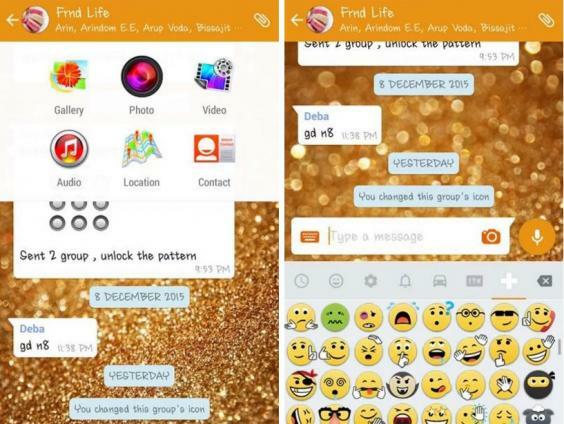 Here is a sample of what the WhatsApp Gold version promises to be but isnt. It is a information stealing malware laden App. Whats more, the original maker of the App, WhatsApp will ban you if it finds you have installed such an app on your smartphone.